Give the one you love a Mother’s Day gift that lasts 3, 6, or 12 months! 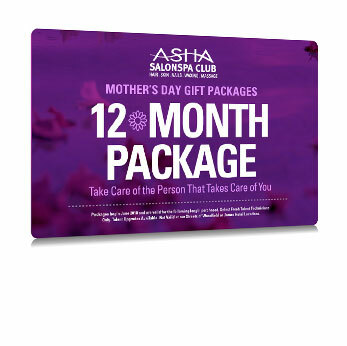 With our exclusive limited time SalonSpa Club Pre-Paid Sampler Packages, you pay only $69 for experiences that normally start at $85! 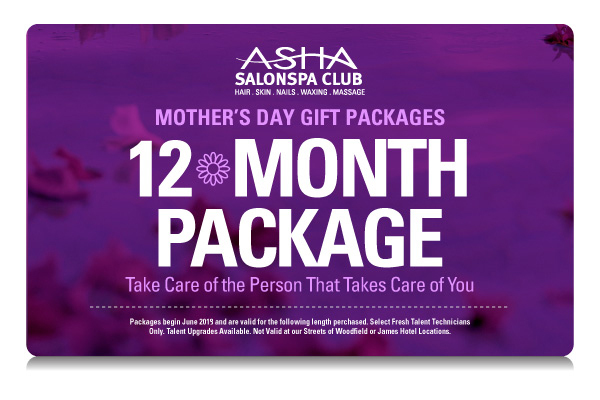 Each monthly visit can be redeemed for their choice of Massage, Facial, Nail, Body or Hair Service… It’s all up to them! Packages begin June 2019 and are valid for the following length purchased. Select Fresh Talent Technicians Only. Talent Upgrades Available. Not Valid at our Woodfield or James Hotel locations. See a Guest Service Team Member for full details.